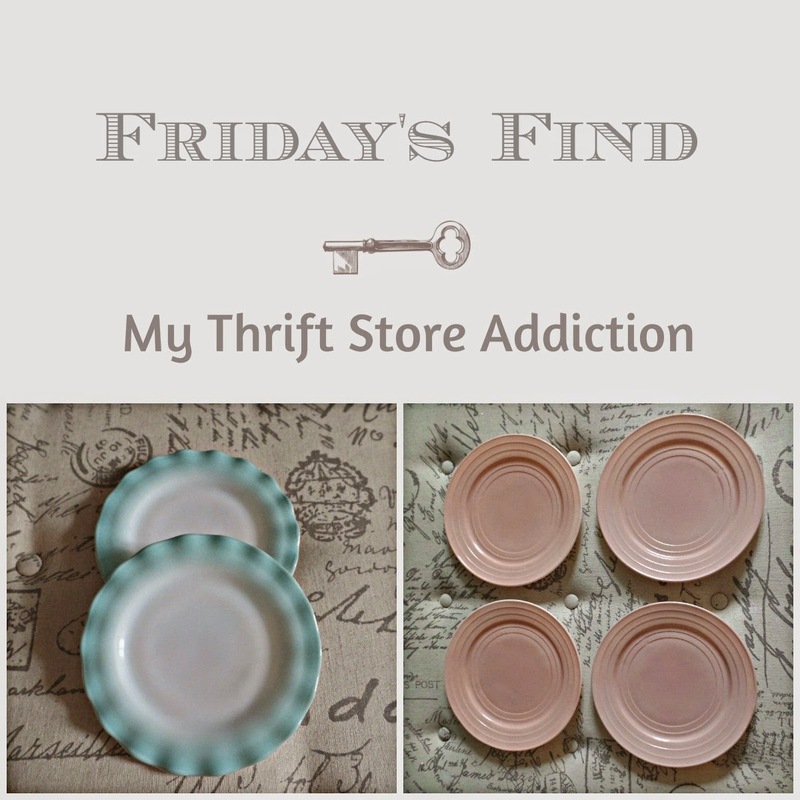 My Thrift Store Addiction : Friday's Find: Moderntone & Crinoline! Every so often I like to browse the antique mall in a neighboring town. 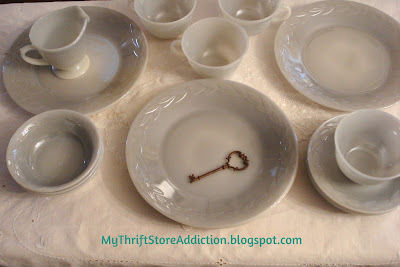 I've had good luck there finding vendor's mark downs and today's finds are beauties and bargains! 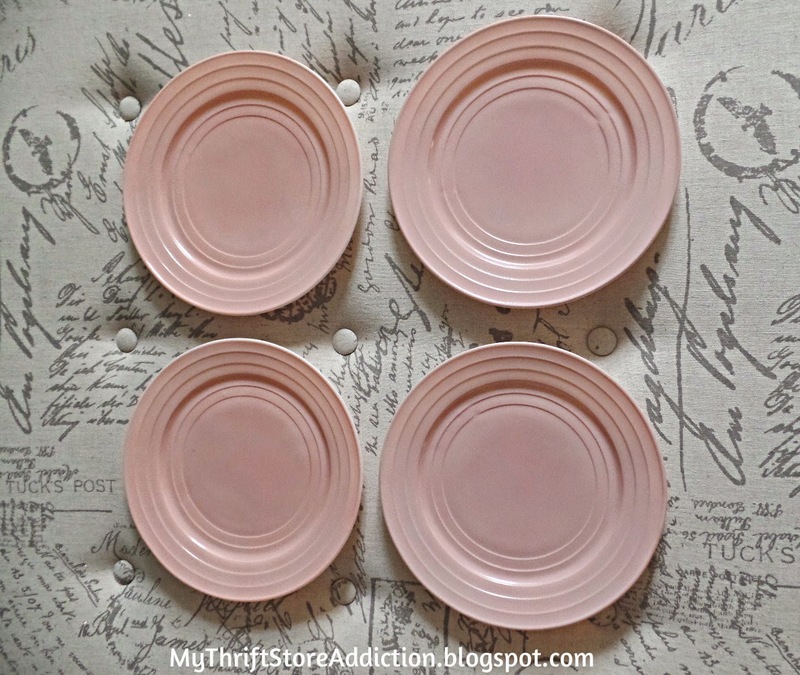 I have only seen pictures of this pretty pink Moderntone pattern by Hazel Atlas, from the 40s. These were marked down half price and though many of them were damaged, I was able to find four in great condition. I have vowed to grab Crinoline any time I see it--just love those ruffled edges! These were in the same booth, also marked down. I have one larger one from a previous find and now I will be on the hunt for two more this size! These lovelies have provided inspiration for my spring tablescape. I love Hazel Atlas, especially crinoline! Wish they'd made a mint green band... that would've been so pretty. 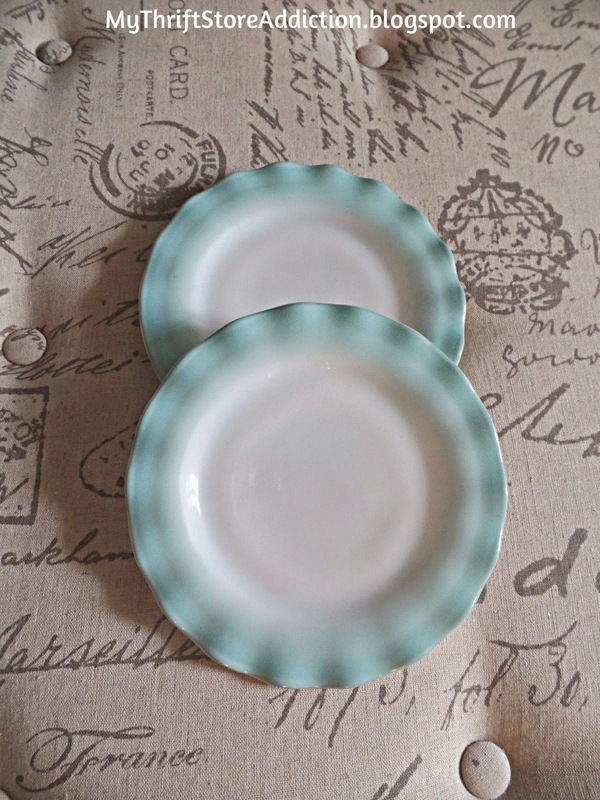 Pretty plates! Love the crinoline, I dream of finding them in Pink! I LOVE plates! All kinds! You found some pretty ones here. Happy Saturday! You have made my morning extra beautiful :) I love, love, love the soft blue ones at the end. Have a great weekend! Good for you Cecilia ... finding those beautiful plates to add to your collection. Will be anxious to see them in your Spring table setting. My Mom had the Aqua Crinoline when we were kids. 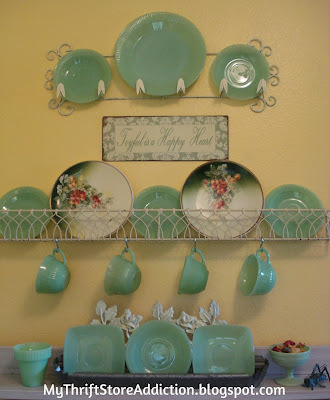 Our kitchen was typical 1950's Aqua and white. Some really attractive plates, great finds. Good for you. visitng via the Roses of Inspiration blog party. Thank you, sweey Cecilia, for sharing this beautiful post with Roses of Inspiration. Enjoy your evening. Hugs!